On the Dec. 11 the Summit took place under the motto "Connect. Cooperate. Digitize. " 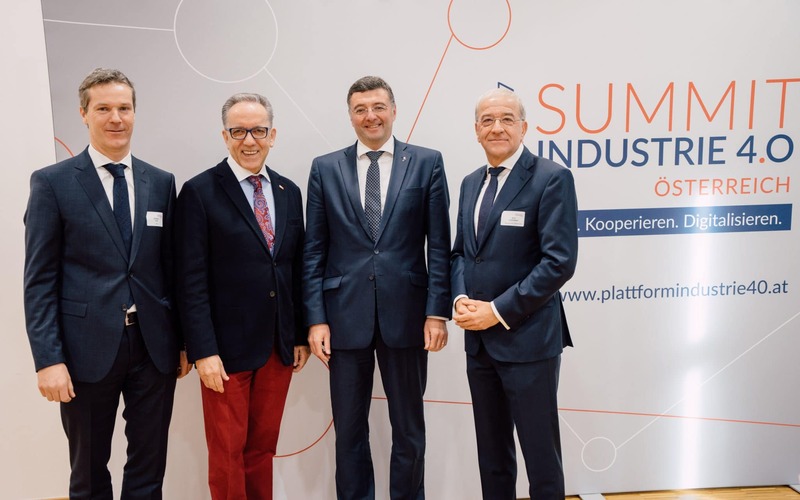 The second annual conference of the Platform Industry 4.0 Austria was held in St. Pölten with around 250 participants. Under the motto “Connect. Cooperate. Digitize”. 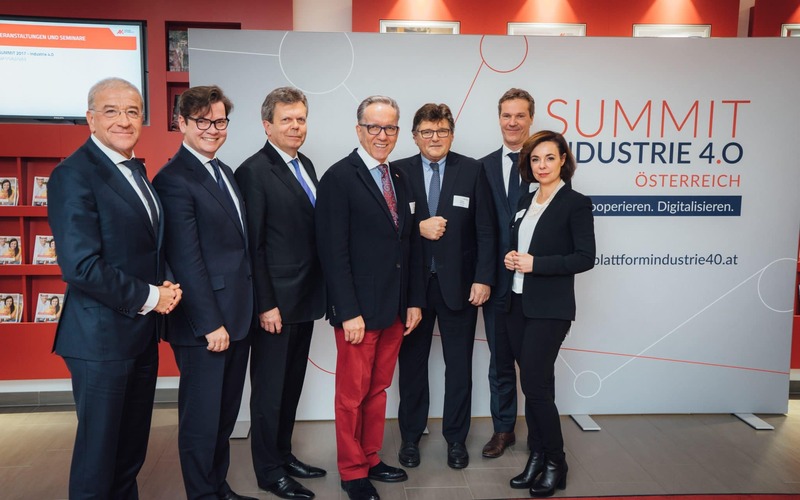 at the Summit Industrie 4.0 in St. Pölten, the second annual conference of the platform, representatives from politics, business, employees, science and educational institutions were able to network and discuss digitization strategies and potentials together. 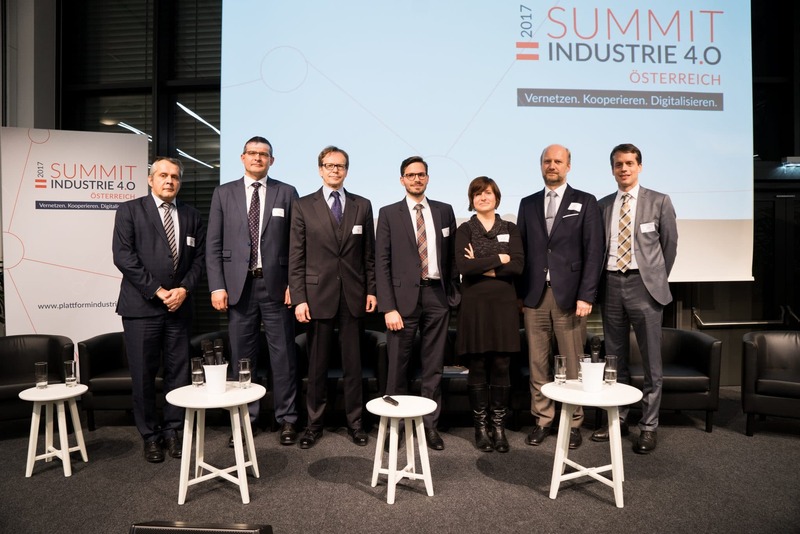 Current projects and results of the Platform Industry 4.0 Austria were presented to the public both in the course of the panel discussion with representatives of the founding members (BMVIT, FEEI, FMTI, BAK, IV and PRO-GE) and during the presentation of the work results by the heads of the individual expert groups. In addition, the results paper on qualifications and competences in industry 4.0 developed by the platform was presented. The resulting paper contains a total of 81 recommendations in seven fields of action, which were developed by experts in a broad process. In addition to the opening speeches by Federal Minister Jörg Leichtfried, who referred to education as a central topic in the context of digitisation, Wittgenstein Prize winner Prof. Hanns-Christoph Nägerl, University of Innsbruck, gave an insight into quantum physics and its applications for the economy in his keynote speech. Afterwards, Prof. Isabell Welpe, TU Munich, spoke about disruptive business models, successful work organisation and management in the age of digitalisation. 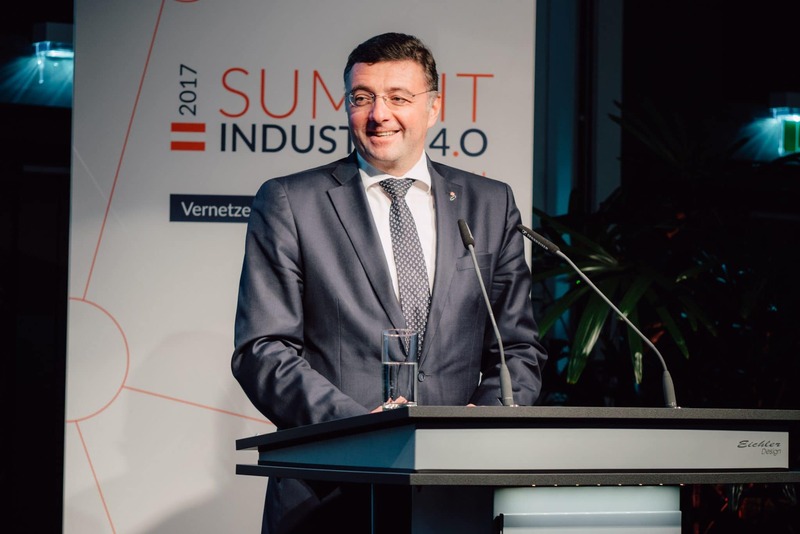 Lower Austria presented regional initiatives, such as the “Enterprise 4.0” project or the qualification measure “Future of Production”. As an international partner country, representatives from France presented the national digitisation platform, its digital ecosystem and its research agenda with two keynotes. Furthermore, concrete educational, research and digitisation projects from all over Austria were presented, such as the pilot factory of the FH Technikum Wien, IoT solutions from IBM for the public sector, the Know-Center from Graz reported on Big Data as an innovation driver, the University of Leoben on more efficient ways of composite processing, Tieto Austria on disruptive business models using the example of the use of drones against bark beetles, the GE Jenbacher0 and the Vienna Business Agency the Co Creation Lab Vienna. This year it was St. Pölten, next year the platform’s goal is to host the annual conference in another federal state in order to further intensify networking and exchange with the regions and companies.